UPDATE: Pumpkin got adopted! We miss her, but we’re glad she has a family to call her own. Pumpkin is visiting the Cat Clinic from the Lawrence Humane Society. She is our “cat tester” for our boarding townhouses. So far she seems to really like them, but she needs a forever home of her own. Stop by the clinic if you would like to meet her! 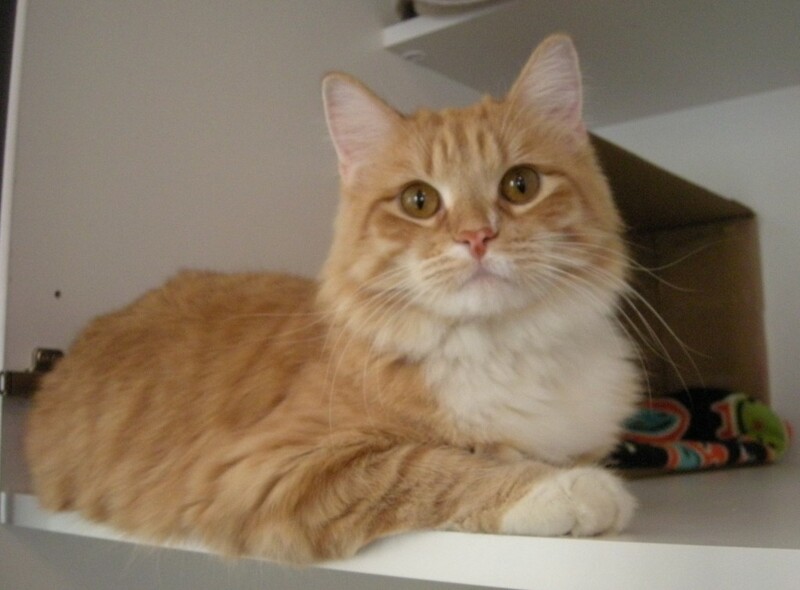 She is a spayed female, orange and white Domestic Longhair kitty, 2 years old, who was found as a stray.